Declare your allegiance! The Horde has declared war and you must choose a side. 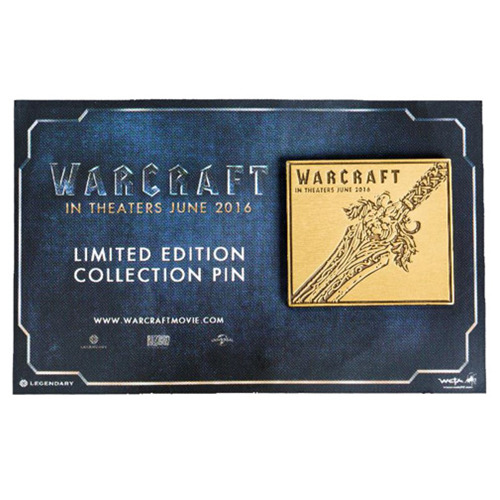 This limited edition World of Warcraft Alliance Collector's Pin is made from a zinc alloy and measures approximately 1 1/4-inches wide x 1 1/4-inches tall. It features the symbol of the Alliance, King Llane's lion sword hilt, and comes mounted on a backing card inside a plastic bag. The reverse of the pin is plain metal. Ages 13 and up.